Railpictures.ca - Michael Berry Photo: AMT 1361 pushes the mid-day inbound run from Mont-St-Hilaire over the Lachine Canal. | Railpictures.ca – Canadian Railway Photography – photographie ferroviaire Canadienne. 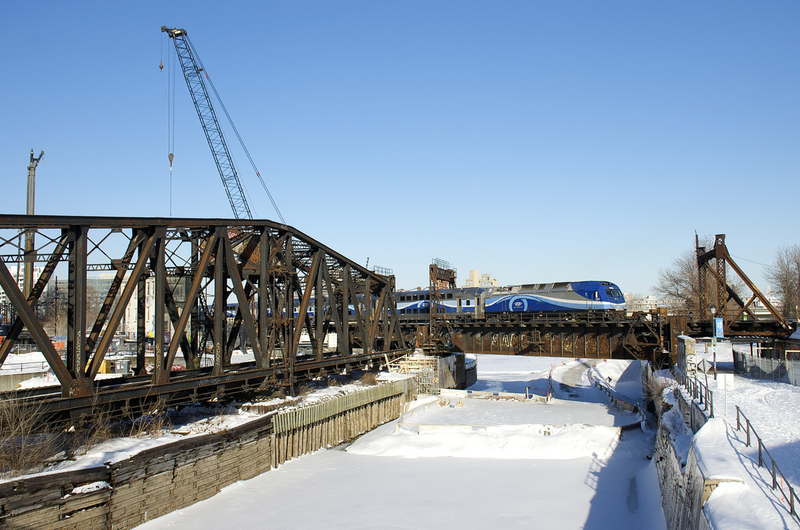 Caption: AMT 1361 pushes the mid-day inbound run from Mont-St-Hilaire over the Lachine Canal.